working towards spiritual growth in adult malesCaring for People from Birth to Death is for seminary students studying developmental psychology and ministry, for CPE training programs, for pastoral counseling training programs, seminary professors, pastoral counselors, and church staff ministers. This concise handbook will help you quickly grasp the developmental issues people face and give you ideas on how the church can effectively minister to these folks. This book is updated from its original publication, and each contributor's intrinsic style has remained intact for you as you explore and learn from this complete manual on ministering to your community members. 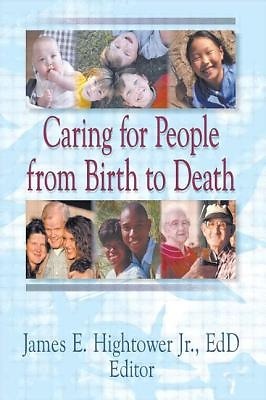 Caring for People from Birth to Death offers you practical, ready-to-use strategies for understanding, taking care of, and ministering to people of all ages.